Noraxon is MOTIONMETRIQ’s premier strategic partner. CYCLEMETRIQ (Powered by Noraxon) has been developed in close collaboration with Noraxon. The innovative features and ability to combine Video, 3D, EMG, Force Plates, Pressure sensors and biometric sensors (and much more) makes Noraxon the perfect partner for world class integrated human movement analysis. Since 2001 gebioMized has been working on the optimal riding position. The original pressure mapping concept was developed in cooperation with the University of Muenster, and gebioMized's fitting technology is now used in more than 25 countries throughout the world. Cyclologic distributes GebioMized technology (Pressure/Force Sensors and Motion Capture) for North and South America since 2012. MOTIONMETRIQ will commence distribution in Q1 2018. Cyclologic and it's founder were the driving forces behind the creation of MOTIONMETRIQ. Cyclologic is a long-time partner of Trek Bicycle Corporation and that relationship led to MOTIONMETRIQ's first motion analysis hardware and software projects. These products were private labelled as Trek Precision Fit and are in use all over the world. Cyclologic also has a key product development role with Purely Custom and every fit related product that they offer. 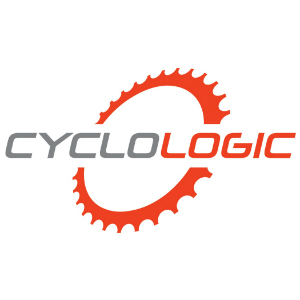 Cyclologic has been a Purely Custom distributor since 2012. MOTIONMETRIQ will commence distribution in Q1 2018. Endurance Rehab has been in partnership with the team at MOTIONMETRIQ for 17 years. They have collaborated with many athletes, ranging from beginners to world class athletes. The partnership has spanned teaching, developing cycling specific physical assessments, traveling together to provide remote services to professional teams, product development and athlete/product testing. The MOTIONMETRIQ - Purely Custom relationship began by finding a custom developed tool in a closet. That prototype led to a conversation that started an amazing development partnership that has produced many of the most popular Bike Fitting tools in the world. We constantly brainstorm, develop and collaborate on the latest generation of tools, software and methodologies.